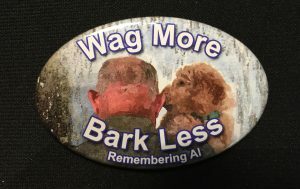 Al Rynties motto was “bark less, wag more.” He lived by this phrase and encouraged others to adopt it, knowing that spreading kindness and helping others was the secret to a happy life. 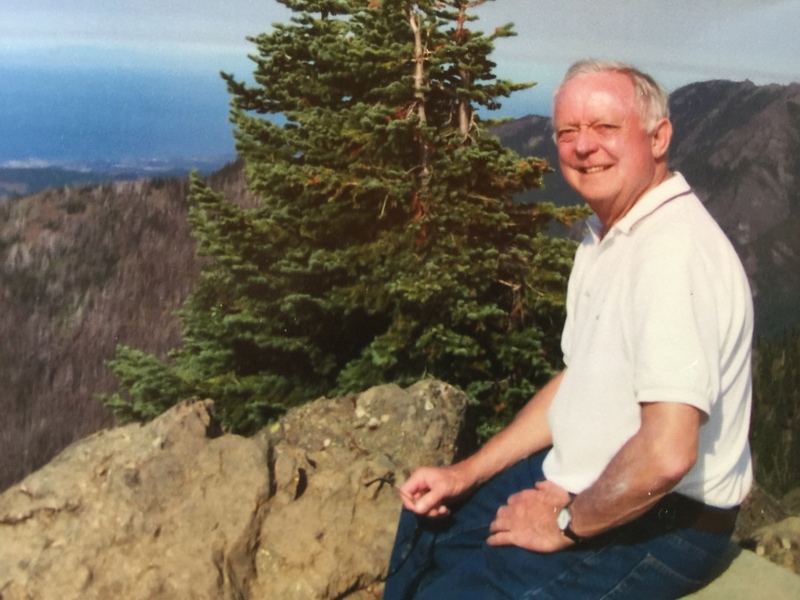 “Al was a treasured member of our community and an integral part of the volunteer army at The Washington Center for the Performing Arts,” shares volunteer coordinator Stacy Hicks. Al passed away suddenly last year at the age of 75 and, while the community mourned his loss, they also celebrated his legacy – service to others while living a whole-hearted, generous life. Al Rynties passed away suddenly last year. 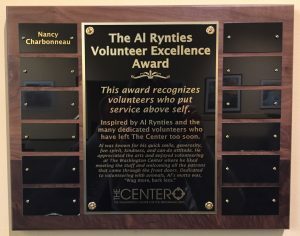 The Washington Center created the Al Rynties Volunteer Excellence Award to honor his cheerful and wholehearted service to others. Photo courtesy: Maureen Sullivan. The Washington Center staff instigated the award in honor of The Center’s 30th season and will present it annually at the Volunteer Party each June. One of the greatest things about the “Al Award” is that recipients are nominated and selected by the volunteers themselves. 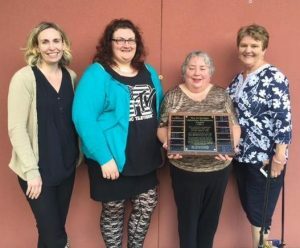 The first annual “Al Award” was given to Nancy Charbonneau, honoring her 31+ years of service as a Washington Center Volunteer. Pictured from left, Jill Barns, Executive Director, Stacy Hicks, Volunteer Coordinator, Nancy and Maureen Sullivan. Photo courtesy: The Washington Center. Nancy was caught completely off-guard by the award, which made it all the more fun. “I knew about the award but my laptop had been broken so I didn’t even see that I’d been nominated. I had no idea,” she laughs, adding how meaningful it was that she was selected by her fellow volunteers. The “Al Award” plaque hangs just to the right of the Orchestra level theater entry at The Washington Center and will be updated annually with new recipients of the award. 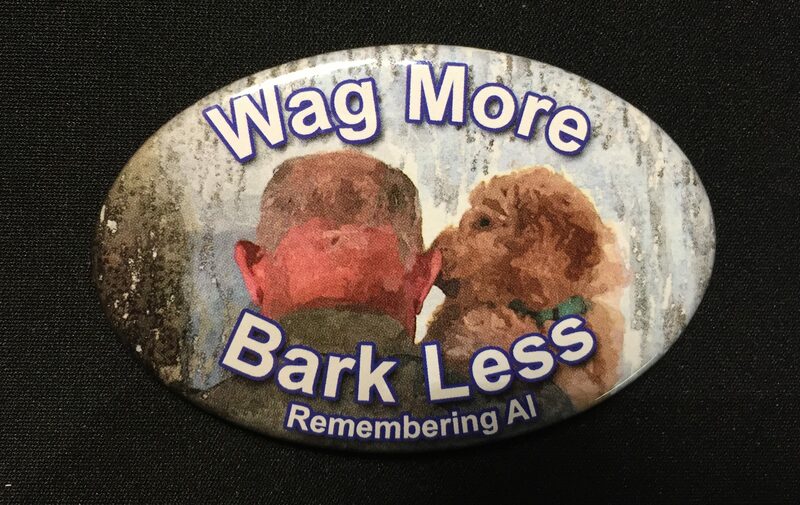 Al’s signature motto came from his love of dogs. He was a dedicated part of CCI – Canine Companions for Independence, taking puppies into his home and training them for 18 months to be companion animals for those with disabilities. Inevitably a few dogs stuck around and Al and Maureen always had a houseful of canine companions themselves. Al Rynties’ motto for life was one that he embodied every day of his life. These buttons were given out at his memorial. 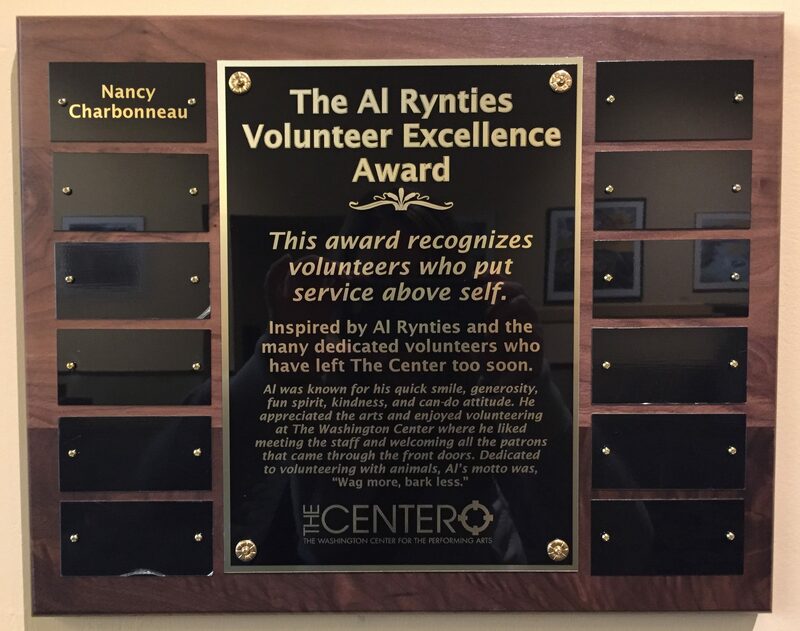 The next time you are at The Washington Center for the Performing Arts, take a peek at the Al Rynties Volunteer Excellence Award plaque near the Orchestra level door and think of Al. Maybe you’ll be inspired to become a volunteer, too. Signing up is easy. Visit the volunteer page online and attend a one-hour volunteer training at The Center. “I think we could all benefit from adopting a little more of Al’s motto,” says Nancy.